While working on an API Application, I was reviewing the documentation from Azure regarding the customization options. 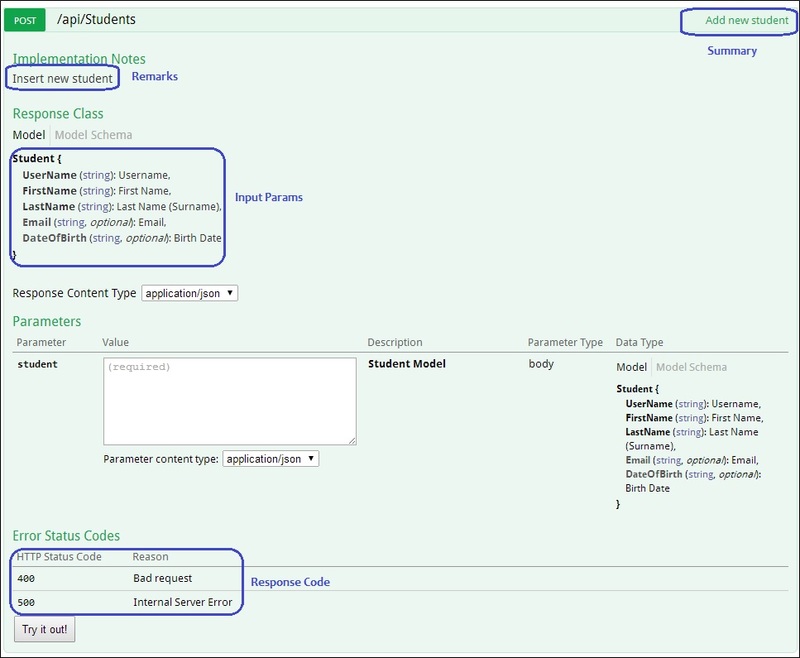 In that article, you can learn how the generated Swagger document can be customized using XML Comments or attributes. As I was learning more about the process, I came across an article by Taiseer Joudeh that discusses in-depth the XML Comment integration with Swashbuckle. What I noticed is that the XML Comments provide more information that just Response Types. Taiseer has a terrific image that shows where XML Comment elements end up in the Swagger UI. Since the Swashbuckle extensibility approach is IOperationFilters and Attributes, I created a SwaggerImplementationNotesAttribute and a companion IOperationFilter. References: I found the following helpful.